I love this sweet summer dress. The patches on it are from the raw silk noil that I tie-dye. 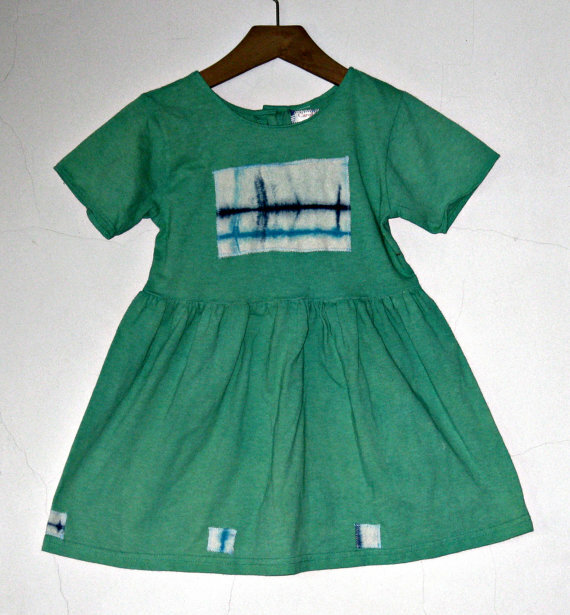 The dress is made out of cotton knit and is also hand dyed. Little girls always love this style. I think it is the simplicity of it and yet the playfulness that appeal to them most. Posted on May 18, 2013 by carolnesper. This entry was posted in Artwork and tagged Carol Nesper, children's clothes, girls dress, hand dyed, kids dress, tie dye, tie dyed, tie dyed dress, tie dyed silk. Bookmark the permalink.